It is not unknown, caught in the excitement of the moment, for me to become carried away with an idea to the extent that I find myself either having to embarrassingly backtrack or simply hope nobody noticed my overenthusiastic mistakes. Unfortunately a blog makes it hard to forget – time is up on my two year plan to return and perform at Kona, but I sent someone else instead. Earlier this year I contemplated the idea of organising a training camp for the start of the 2013 season; a proper camp with detailed itinerary, coaching and more athletes. That camp is happening. No paperwork has been signed, or deposit paid, but this is not an overenthusiastic promise; by the end of the week I should be able to confirm both price and date. The hardest aspect of organising the camp – so far – has been trying to find that balance between quality and value. Quality means ensuring a good venue, good coaching and proper support for the athletes who attend. Value is a more debatable term. This is a commercial venture for me, but – as the numbers I’m working with show – I wouldn’t describe it as profit driven. I want to organise this training camp because I know how much I’ve enjoyed and learnt from the many camps I’ve attended, and also because I know how much I enjoy and learn from directly – actually – coaching athletes. A huge part of this is about the experience, the pleasure in coaching and the chance to put together a week based on my approach to training. As long as I don’t make a loss I’m happy. This is going to be an early season camp, with dates tentatively set for the middle of February. The focus will naturally be towards those racing Ironman and Half Ironman distances and the camp itself will put the overall emphasis on bike volume. 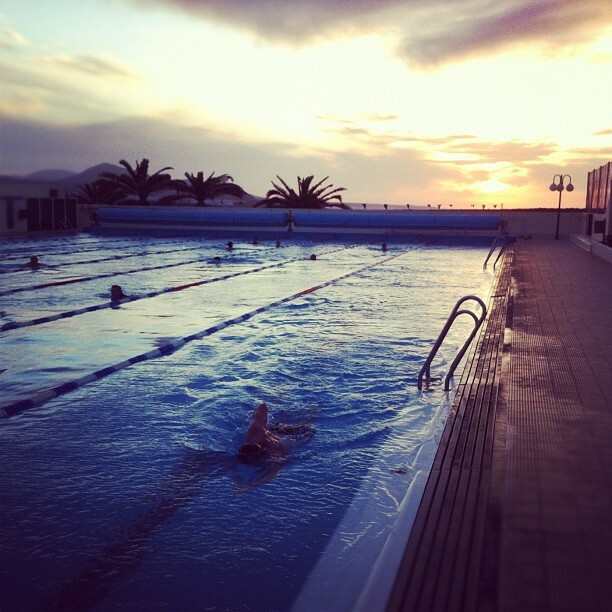 We will be going to Lanzarote because it’s a great place to train, it’s warm and I am familiar with the island. What is new is the proposed venue, pending confirmation of the dates the camp will be based at the Sands Beach Resort in Costa Teguise. This is a holiday resort, but with a real interest in sports, they sponsor a number of events and athletes and have recently taken the step of building a 25m training pool. The location gives us resort quality accommodation and food, plus all we need for a triathlon camp: pool or sea to swim in, easy access to good riding and paths or trails to run on. I will provide a full itinerary along with coaching throughout the week, but athlete support is an important aspect of any camp, so to allow for increased numbers I’ll be joined by Mark Racher. Mark is a former British International swimmer and national champion at 400m and 200m Medley, and at one point – until an incident in Vegas derailed our plans – I coached him for Ironman. He’ll be providing support throughout the camp, setting some of the swim sessions and offering coaching points and advice. We’ll both be riding and running too, splitting into separate groups where necessary to allow for a mix of abilities. The schedule will allow for swim, bike and run everyday and will take in a number of race courses over the week. Until I’ve final confirmation on apartments at Sands Resort I can’t commit to exact dates or prices. There are still details to be set. But I am too excited to hold back on this update. 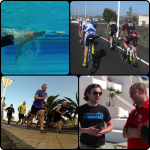 Once everything is confirmed full details – price, dates, a complete itinerary – will be published on this Lanzarote Training Camp page. The camp is open to anyone, but numbers will be limited to ensure we can offer adequate support. If you are interested or want more details, then please email me to find out more.